Brand: Fox Run FR-4950 Units: 48/pkg. 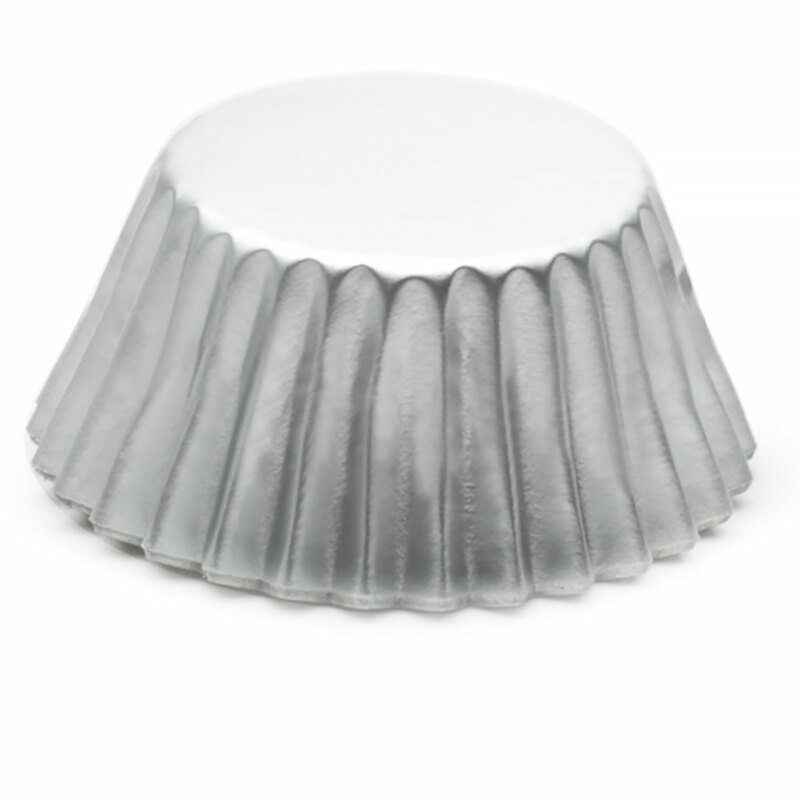 Dimensions: 1¼" base x ⅞" wall Silver foil baking cups with white paper lining. Silver foil baking cups with white paper lining.